State-of-the art A220 is latest investment in fleet modernization program to replace 20 percent of older, less-efficient aircraft by 2020. Delta will be the first U.S. airline to take delivery of the A220, formerly known as the "C Series," which will feature a modern interior with a spacious, widebody feel, and best-in-class fuel performance. Delta is upgrading its fleet to replace less-efficient aircraft with highly efficient and state-of-the-art aircraft like the A220 as well as new Boeing 737-900ERs, Airbus A321s, Airbus A350s as well as Airbus A330-900neo and Airbus A321neo. 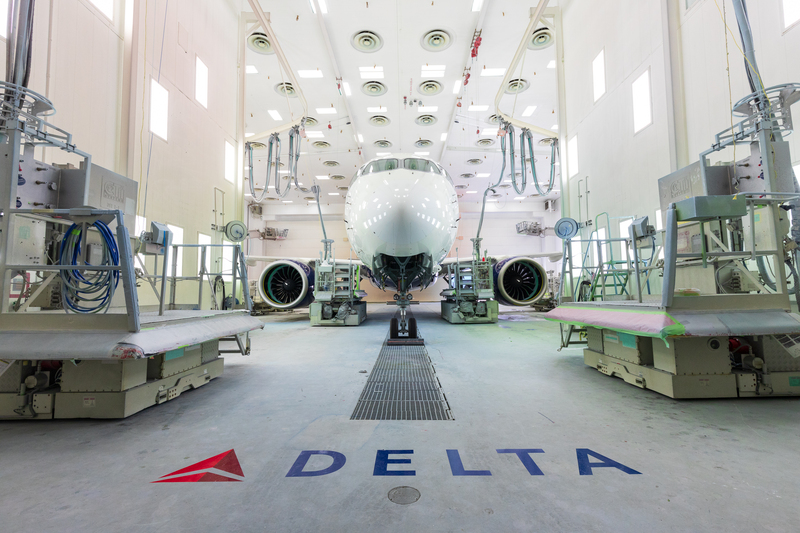 "This aircraft is the culmination of years of listening to our customers and responding with design innovations that continue to improve Delta's domestic in-flight experience," said Tim Mapes, S.V.P.​ and Chief Marketing Officer. "From high-resolution seat-back entertainment screens to the widest Main Cabin seats in our fleet, the A220 will deliver an experience our customers will look forward to every time they fly." Delta's A220s will feature 18.6" wide Main Cabin seats – the widest Main Cabin seats in Delta's fleet – in a two-by-three layout. Each customer will also have personal power ports and complimentary premium entertainment on individual seat-back screens. The first A220 rolled out of the paint shop in Mirabel last month and is now receiving finishing touches on the assembly line after its first test flight last week. Delta will take delivery of the first aircraft later this month.